Mitchell and Draklellis are enrolled in Penn State’s new Study Away Pittsburgh program, a semester-long, transformative, urban, educational experience for third- and fourth-year Penn State students. Modeled after study abroad programs, students are placed with community partners and participate in an in-depth, community-based learning experience in sustainability while residing in Pittsburgh for a semester. Study Away Pittsburgh connects community partners with students who come from various majors and minors including: landscape architecture; geography; marketing; communication; recreation, parks and tourism management; community environment development; and sustainability leadership. “This program is extraordinary, being that it is both flexible in how people can engage with it for their fields of study as well as the full immersion into another environment without going far to do so,” Mitchell said. “The program is designed to allow students to learn about urban sustainability challenges and solutions while working on projects that directly improve Pittsburgh’s communities,” said Michele Halsell, who was part of the team that designed the Study Away Pittsburgh program. Mitchell has an internship with the Urban Redevelopment Authority of Pittsburgh, where he is working on land-use issues including a property stabilization program as well as efforts to address vacant lots within the city. Draklellis’ internship is with the Pennsylvania Environmental Council where she is working on an economic development project that links parks, natural resources and tourism amenities. An urban sustainability course taught by Lisa Vavro, program manager for the Penn State Center Pittsburgh, compliments the students’ internship experience. Vavro and the center work with a wealth of community partners to create a real-world learning experience for Study Away participants. The PepsiCo Urban Sustainability Fellowship is an innovative grant program that enables corporate and private business support of engaged scholarship to fulfill sustainability-related projects and priorities of local non-profit organizations in Pittsburgh. The Sustainability Institute and Penn State Center Pittsburgh invite undergraduate students in good standing to apply for the Study Away Pittsburgh program for spring 2018. Ten PepsiCo Urban Sustainability Fellowships (a $2,500 stipend for one semester of study) will be awarded to qualified students with their enrollment in the program. Applications are currently being accepted online with a deadline of Sept. 20. 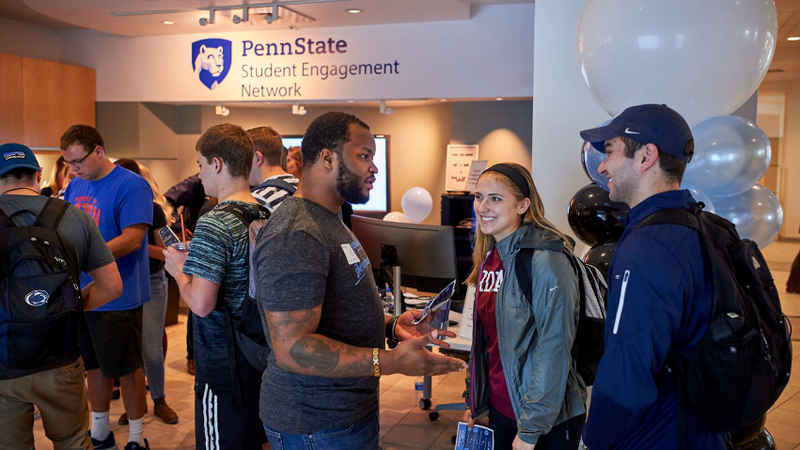 Students are encouraged to attend information sessions in the HUB lounge from 12:30 to 1:30 p.m. on Sept. 12, 14 or 19, to find out more about the program. Questions should be directed to Michele Halsell at mwh16@psu.edu.